Happy Monday everyone! Today's Song Of The Day combines the sounds of chill deep house and funk all into one. Kept at the tempo of a house track, "Map Of Foreign Lands" takes the best of both worlds. The floaty Exmag synthesizer sounds along with their signature guitar give a groovy feel to go with the low frequency deep house sounds. Branx is an up and coming artist who has had the opportunity of working with Exmag on a few occasions also. Together they bring a soulful relaxed vibe to their music. I love that this track has someone rapping in it. I always tend to gravitate more towards house tracks with some cool rap vocals or something a little bit harder then normal in them. 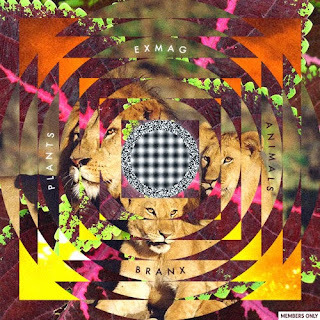 Be sure to follow Exmag and Branx to keep up with all of their latest work. Enjoy!